The cortado will most likely be a cheaper investment as one have to buy the additional contact mic along w P Logic - that is if one doesn't have a spare. Old-ish thread, but my brother bought me the Crank Sturgeon Town & Mouth report mic for christmas. Excellent present- aside from the obvious vocal mic purpose has anyone used this for recording anything else- up close for junk metal or getting a lofi room recording? It's out of my budget for a couple weeks at least but those repurposed CB mics are killer. I need one. Anyone have any experience with boundary mics? I stumbled upon a rather nice one (crown PCC-160) and am trying to think of a good way to use it in lieu of selling it. Was thinking of maybe mounting it to a large piece of metal or perhaps using it to get a room recording but have never played with one or talked with anyone that has so I don’t really know if it’s a waste of my time to experiment with. 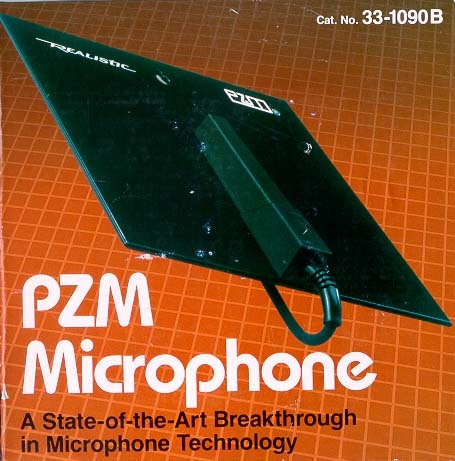 Radio Shack use to make a boundary type mic. It was a coffin-shaped mic mounted to a piece of metal. Great for dragging around the garage floor but it didn't pick up sounds quite the way I wanted it to. I think I ended up destroying it. Try it out. If it doesn't do what you want it to then sell it. That's the only way to know for sure. Reposting this here for posterity. FOR SALE: Bing Carbon Microphone. Lo Fi granular distortion for voice, instruments, or sound design. Special NOS Military grade carbon transmitter. 2 AA battery powered, transformer coupled 150 ohm output. $300. 2 available. Will ship. Hey friends, can anyone recommend a durable microphone that can be subjected to long term abuse? I use a Sony F-96 High Impedance microphone to get really ear pleasing sounds from my guitar strings - the only problem is that I've gone through a few and their lifespan doesn't last more than a couple practices with my friend. Some of the mics I have tried like a Shure SM58 will feedback before I can get it to a point where it picks up my strings. To be honest I don't know much about microphones or impedance but ever since using this cheap Sony F-96 (High impedance) I refuse to have any other sound. It picks up everything and more and gives a metallic sound.